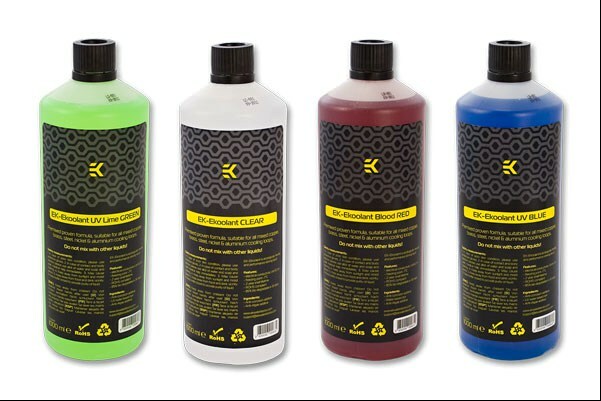 EKWB launched new cooling liquid for best performing water cooling blocks, available in four different colours – UV BLUE, UV Lime GREEN, Blood RED and CLEAR. It’s pureness, proper viscousness and low chemical content makes it an excellent and best suitable coolant for any PC watercooling system. EKoolants are readily available for purchase from our webshop.